The Toronto and New York stock exchanges were closed for holidays but Monday still brought plenty of interesting developments. European equities closed their session flat or slightly higher while Asian indexes were also generally higher. 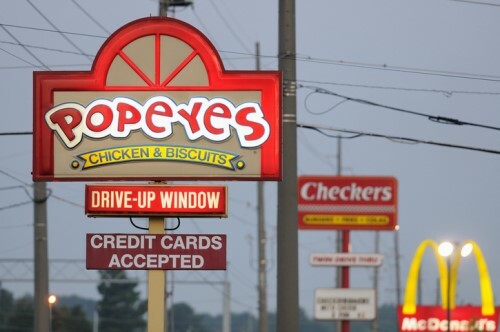 Closer to home, it’s reported that the owner of Tim Hortons and Burger King will be expanding its restaurant portfolio with the addition of Popeyes. Restaurant Brands International will pay around U$1.7 billion for the business which has 2,000 outlets. Meanwhile, Canada’s wholesale sales data released Monday by Statistics Canada reveals a 0.7 per cent rise in December to $57.3 billion. In volume terms, sales were up 0.9 per cent. Six of the seven sectors gained with the machinery, equipment and supplies subsector and the building material and supplies subsector contributed the most to the advance. Oil prices are trending higher this evening with Brent at $56.12 and WTI at $53.69, but concerns over US output remain. Gold prices are essentially flat. The man who led the drive to create a separate union for Canada’s auto workers has died at the age of 81. Bob White’s movement saw the Canadian Auto Workers union formed after a break from the US union before a combination with the Communications, Energy & Paperworkers union created Unifor. What types of funds are advisors buying right now?